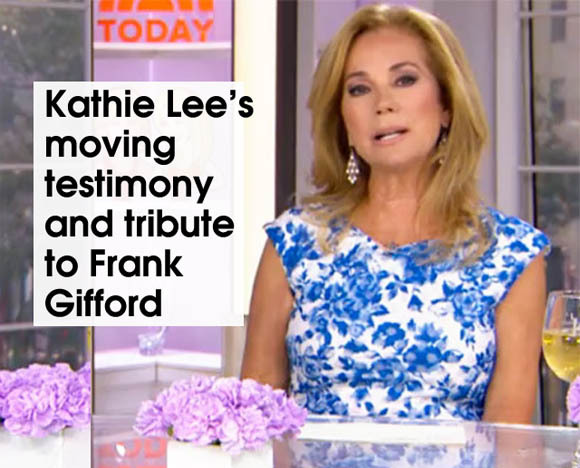 Kathie Lee Gifford has returned to the Today Show after her husband, Frank, died earlier this month. On the show, Gifford thanked those who sent messages of encouragement and prayed for her family in their time of grief, Charisma News reports. The TV personality said Frank Gifford, a NFL player turned sports commentator was born during the Great Depression and was incredibly poor, but grew up with Christian faith. Gifford said her husband did not want to be a burden on his family. He died suddenly on Aug. 9 at the age of 84. “That’s what I had prayed, that the Lord would take him the way he wanted to go. And so I thank the Lord for that, for his grace to us as a family. And I pray his grace on all of you as well,” Gifford said.